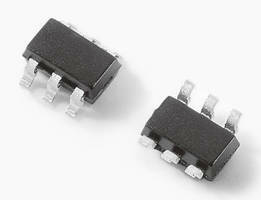 Supplied in SMT SOT23-6 packages, DSLP Biased Series SOT23-6 SIDACtorÂ® Protection Thyristors (DSLPxxxxT023G6) provide overvoltage protection for broadband communications applications with minimal effect on data signal integrity. EpiSCR silicon crowbar technology providesÂ capacitive loading characteristic suited for high-bandwidth applications and surge performance up to 35 A (8/20 Âµsec). Flow-through lead frame design conserves circuit board real estate and minimizes trace layout routing. CHICAGO – Littelfuse, Inc., the global leader in circuit protection, has introduced DSLP Biased Series SOT23-6 SIDACtor® Protection Thyristors (DSLPxxxxT023G6), designed to provide overvoltage protection superior to other market solutions for broadband communications applications with minimal effect on data signal integrity. Patented EpiSCR silicon crowbar technology provides a capacitive loading characteristic that’s ideal for use in high bandwidth applications. This technology also provides robust surge performance up to 35A (8/20µs). The compact SOT23-6 package with its flow-through lead frame design conserves valuable circuit board real estate and minimizes trace layout routing. Typical applications for the DSLPxxxxT023G6 Series SIDACtor Protection Thyristors include tertiary and line driver side protection for digital subscriber line (DSL) equipment compliant with HD-SDI, HD-CVBS, VDSL2, ADSL2, ADSL2+, and G.fast data transmission standards. Superior performance in surge capability (min. 30A, typ. 35A@8/20µS, typ. 15A@ 5/310µS) than other market solutions without compromising high data rate signal integrity. This level of protection is sufficient for even the most severe exposure G.fast applications (including GR-1089 Issue 6 inter-building requirements and ITU K20/21/45 Enhanced external line recommendations). Low off-state capacitance (2.5pF max.) that provides low insertion loss and less distortion, particularly in higher data rate signals. Flow-through layout reduces the impedance mismatching “stub-effect” caused by non-”flow-through” printed circuit board trace connections and simplifies printed circuit board design. Better immunity to AC power cross issue compare to existing industrial clamping technology. Many voltage options of 8/12/18/24/36 volts are available for easy design to fit various drivers. Standard SOT23-6 package for compatible foot print design. DSLPxxxxT023G6 Series SIDACtor® Protection Thyristors are provided in compact surface-mount SOT23-6 packages and sold in quantities of 3,000 on tape and reel packaging. Sample requests can be placed through authorized Littelfuse distributors worldwide. For a listing of Littelfuse distributors, please visit http://www.littelfuse.com/contactus.aspx. Additional information is available on the DSLPxxxxT023G6 Series product page. If you have technical questions, please contact: Jeff Chin, global product marketing manager, SIDACtor Protection Thyristors, JChin@littelfuse.com.